How the success of the Game Boy inspired a variety of rip-off consoles sold under a variety of bizarre corporate structures. This goes deeper than the Lynx. This is not a knockoff, but there must be one heckuva story here. However, a knockoff is clearly trying to confuse the market into thinking it’s something more popular, often using off-the-shelf parts, while cutting corners on the design of the product. Basically, it’s a product that succeeds because an unobservant parent or loved one doesn’t know the difference. This is a phenomenon that’s well-known in video games, and one that continues to this day—the hard-to-find NES Classic, for example, has been a common target of knockoffs and direct even clones. The Game Boy, in particular, attracted some interesting knockoffs, in part because its design was so simple and therefore easy to copy. That also meant that the companies taking aim at Nintendo’s marketshare were much smaller no-name operations in most cases. And the devices, as a result, have become exceedingly obscure. 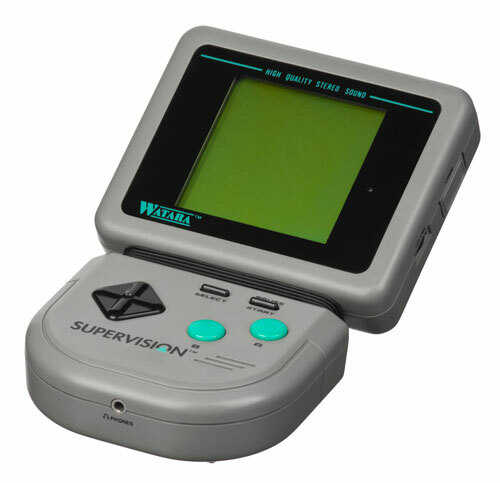 Case in point: I feel like I know my retro games pretty well, but I had completely forgotten about the Watara Supervision until recently. Wait, what the heck is the Watara Supervision? The number of variants of the Watara Supervision that were created worldwide, according to a 2001 FAQ on the long-dormant system. 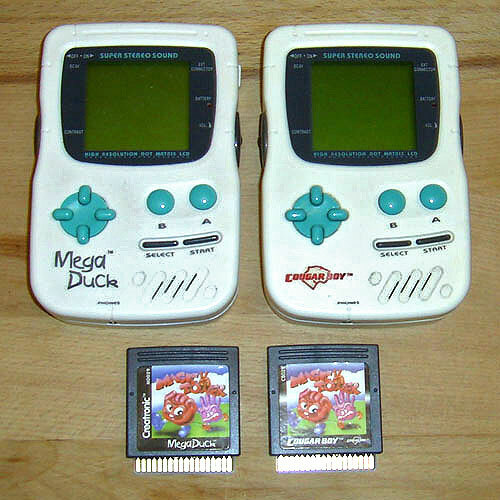 Some of the variants had a distinctive look, while others were designed to look almost exactly like a Game Boy. In a lot of ways, Watara’s SuperVision was Hong Kong’s attempt to show that it was no slouch on the video game front. The SuperVision, which came out in 1992 under various names globally (notably QuickShot, a well-known maker of third-party game controllers during the era), attempted a modest improvement on the Game Boy at a time when most of its big-name competitors were aiming to jump leaps and bounds beyond the portable market leader. Rather than having a color screen, it had a slightly larger one. The buttons were just a little bigger, and the sound was slightly better, too. And on its most-common model, it had a bendable body, which allowed players to arch their necks just a little bit less, as well as legs to hold up the screen if so desired. But that doesn’t mean it worked out for Watara. Of course, the biggest difference was price—the system could be had for just $49.95, with games available at price points between $8.95 and $14.95. On the game price front especially, this significantly undercut Nintendo. Watara had a lot to prove. As writer Ed Dille noted in a 1993 issue of Electronic Games, the Hong Kong market had a reputation for piracy it had to shake, and despite efforts to try a more legit approach giving the console “a slight technological edge,” the games left something to be desired. “Weighing all of the factors presented thus far, the overriding consideration seems to be that it is still possible to be disappointed in a game that costs under fifteen dollars,” Dille wrote, citing the failures of the Atari 2600 on this front. And this, ultimately, would prove the console’s achilles heel. The market had been trained to follow franchises by this point, and the small number of developers that were making games for the SuperVision—mostly based in Hong Kong, with one British developer and another developer whose NES games were associated with the unlicensed U.S. publisher Color Dreams—weren’t really making big franchise-driven games. And that meant that the system was at a loss on the broader market. Unlike other competitors, it actually showed up in some occasional mainstream places—for example, it was one of the available prizes for the Nickelodeon game show Legends of the Hidden Temple. But the real prize was for the console to show up in millions of kids’ hands—and that’s something it was never able to do. The amount British comedian Stuart Ashen raised for his 2013 film Ashens and The Quest For The Game Child on Indiegogo. (The entire film, also featuring Warwick Davis of the NES video game Willow, is viewable on YouTube.) 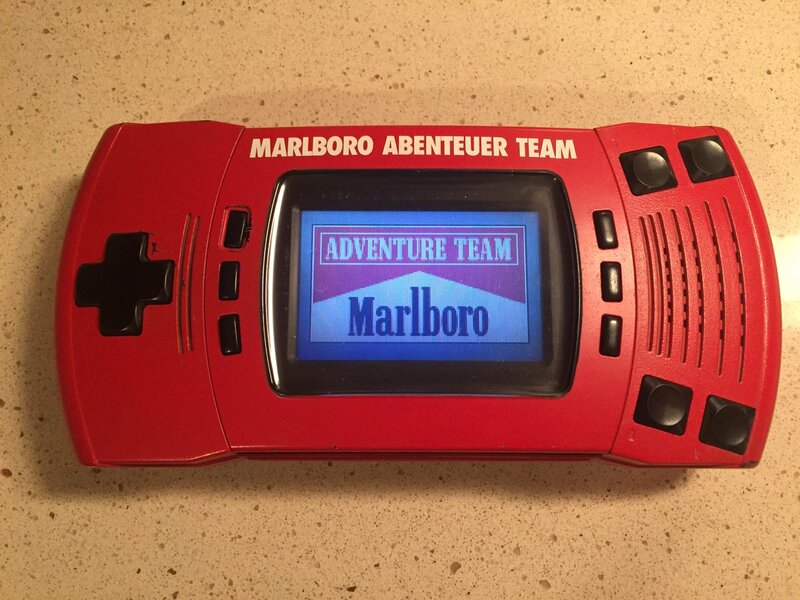 Ashen, who became known in part because of his reviews of incredibly obscure handheld game consoles, wrote an entire movie based around the Game Child, which is a knockoff Game Boy-style clone that uses Tiger Electronics-like LCD graphics. Check out Ashens’ review of that machine over this way. Of course, knockoffs of the Game Boy didn’t start and end with the SuperVision, and some of them were much more blatant, even. About a year after the release of the SuperVision, another Hong Kong-based company, a firm called Welback Holdings developed a device called the Mega Duck, which was clearly an attempt at getting in on a hot market. On a technical front, the SuperVision and the Mega Duck were actually somewhat similar. While the SuperVision had a larger screen and more design quirks, both devices worked functionally the same. Like a Game Boy, basically. But Mega Duck perhaps might be the more interesting of the two consoles because of the fact that it was pulled into some pretty weird directions. Now, Welback was a developer in the mold of VTech, the onetime Apple II clone-maker, also based in Hong Kong, that had become successful thanks to its wide array of educational products—particularly faux-laptops. And some of VTech’s ambition eventually showed itself with the Mega Duck. In the mid-‘90s, Hartung released a version of the Mega Duck as a friggin’ toy laptop, complete with musical keyboard, regular keyboard, and mouse. The YouTube channel The Retro Future has a great video explaining what this console actually does. But perhaps the most interesting part about the Mega Duck is the printer on this bizarre pseudo-laptop. A few years before the Game Boy famously had its own printer, the knockoff world was introducing a handheld-borne device with a printer of its own. Clearly, Nintendo must have been inspired. But as curios go, you could do a whole lot worse. 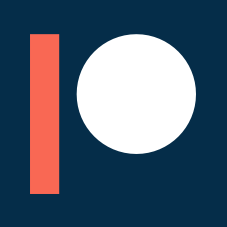 One of the most fascinating things about these clone systems is the fact that the corporate histories of the companies involved—manufacturers, vendors, and distributors—are so hard-to-follow. I’m the kind of guy who does digging like this on the regular, and even I found the structure of the various corporations to be utterly confusing. In some cases, there’s a lineage between devices. For example, the name Hartung is associated with some brands of both the Mega Duck and the Watara Supervision, along with an older, less-powerful device called the Game Master. And the Taiwanese firm Thin Chen Enterprise, better known as Sachen, had fingerprints all over unlicensed NES games, NES clones, multicarts, and the libraries of both the SuperVision and the Mega Duck. The company even developed some Game Boy games! Sachen is a beast unto itself, worthy of its own Tedium issue someday. But the best example of this weirdly complex corporate state of affairs is Welback Holdings, the firm that was responsible for the Mega Duck. It’s still around today. Kind of. Launching in 1992 as Welback, it has gone through four separate name changes and is now known as Emperor Culture Group. That company is owned by Albert Yeung, a billionaire investor (and plaintiff in a lawsuit against Google) who owns the firm’s parent company, Emperor Group. The firm doesn’t make knockoff video game consoles anymore, really. Emperor Culture Group is a local entertainment conglomerate that produces TV shows, owns movie theaters, and puts on live concerts. In other words, based on the many mergers and reorganizations that have probably come since, these Game Boy knockoff systems were secretly empire-builders.